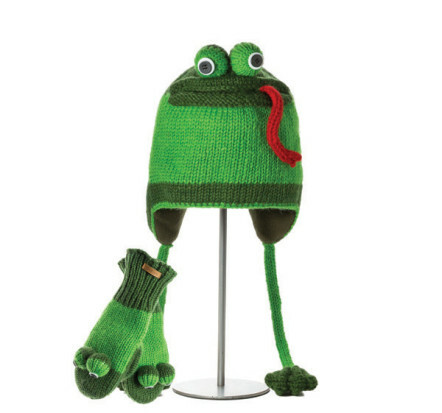 This beautiful Fergie the Frog Animal Hat will keep you warm & snug and fashionable at the same time! Hand crafted from 100% New Zealand wool, the Knitwits range of animal hats & mittens have a unique 3 dimensional design and a soft & cosy feel. Also available in younger kids sizes ages 2-6 years in lots of fun designs! 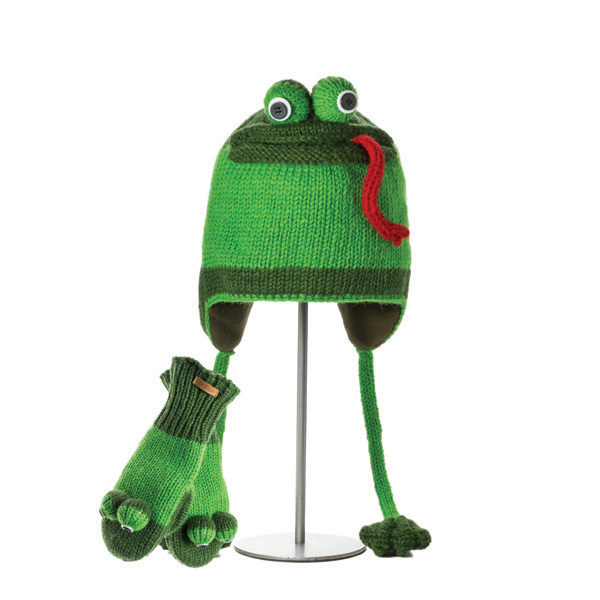 The Knitwits Fergie the Frog Animal Hat is unique and stylish and would make a great gift! ‘Knitwits’ was launched in 2005 in Canada and is the original animal hat. All Knitwits products are made from beautiful New Zealand wool and each hat goes through a 12 step process from dyeing, tailoring and finishing by hand to create a unique, high quality product. Please note: The matching mittens shown in the photo are unfortunately not available and are for illustration purposes only.